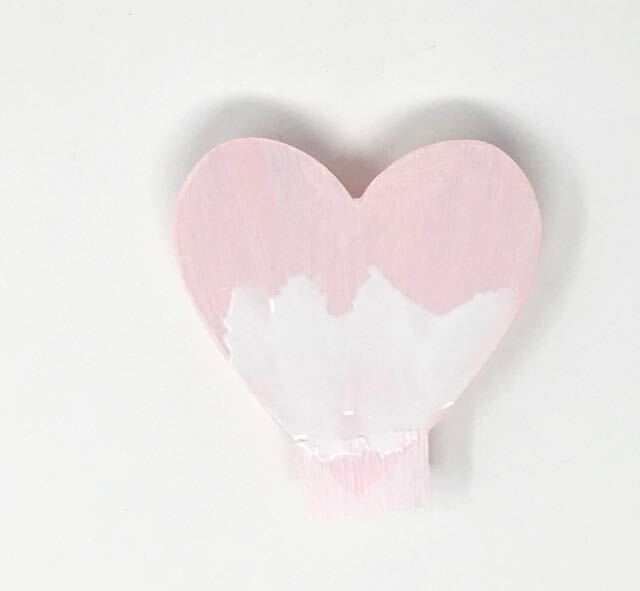 Want to make a fun valentine craft? How about a Valentine Piñata Candy Box? 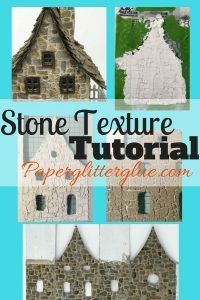 This is a seriously easy, cute paper craft you can make with your kids or at a craft party. And I used the same pattern for the Easy DIY Heart-Shaped Candy box. 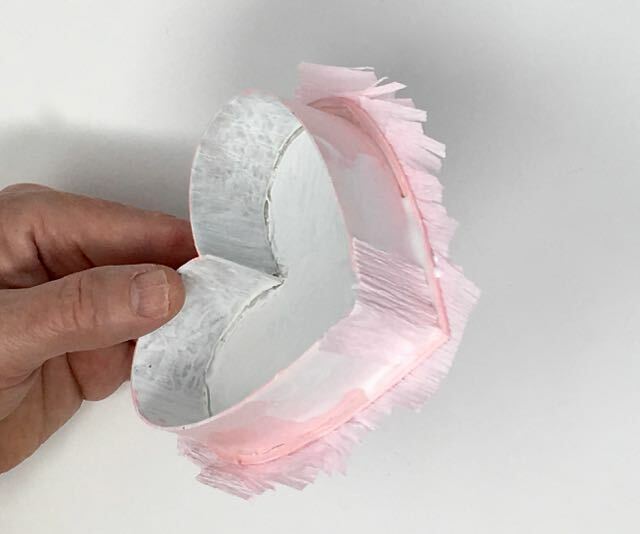 If you don’t want to make your own heart-shaped cardboard candy box, you can find them inexpensively at craft stores or online and then add the fringe. As you know, I love to make things out of cardboard, so I make my own boxes. The candy box pattern is available for free in the Paper Glitter Glue library. 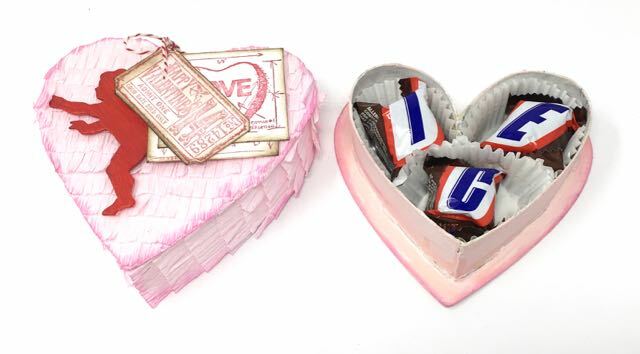 So all you need are a few supplies to make your own cool Valentine piñata candy box. Let’s get started on making this fun treat box. 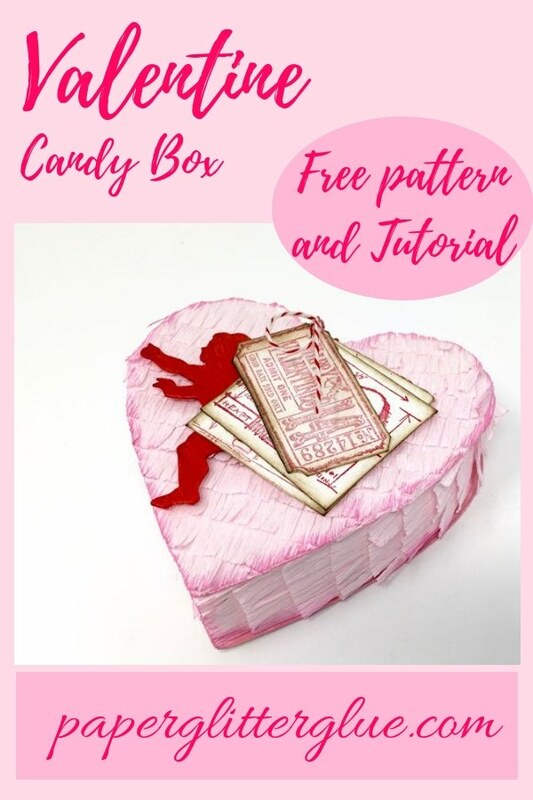 First you can download the free pattern for the Heart-Shaped Candy Box from my library. It’s in a zip file that includes both a PDF file and an SVG file. So you can make the candy box on your cutting machine like a Cricut. 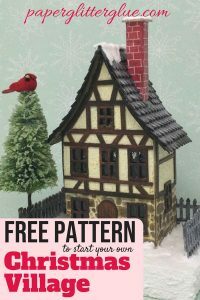 If you have subscribed to my newsletter, then just access the library, put in the password and download the pattern. But if you haven’t subscribed to my newsletter and would like to, then fill out the subscription form below. You will get the password immediately on the screen as well as in an email. Everything is free in the library. 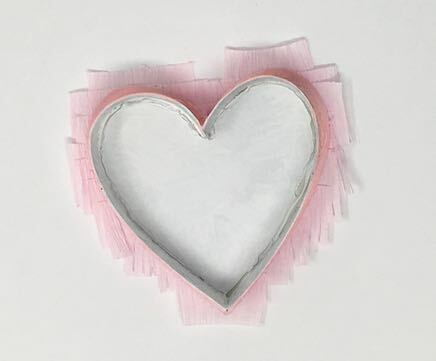 Oh, and if you don’t want to take the time to make the heart-shaped candy box, you can buy these little cardboard treat boxes online and at any of your favorite craft stores. They really aren’t expensive or hard to find. Here you can find the detailed instructions on making the Easy DIY Heart-Shaped Candy Box. First, prime your candy box with gesso. The pink paint I chose is kind of thin, so the primer (Gesso) makes it stick to the cardboard better and I didn’t have to use as much paint to get good coverage. I used Spun Sugar Distress Paint to paint the heart-shaped box even though most of the box was going to be covered up. This shade of paint matched my crepe paper the best. 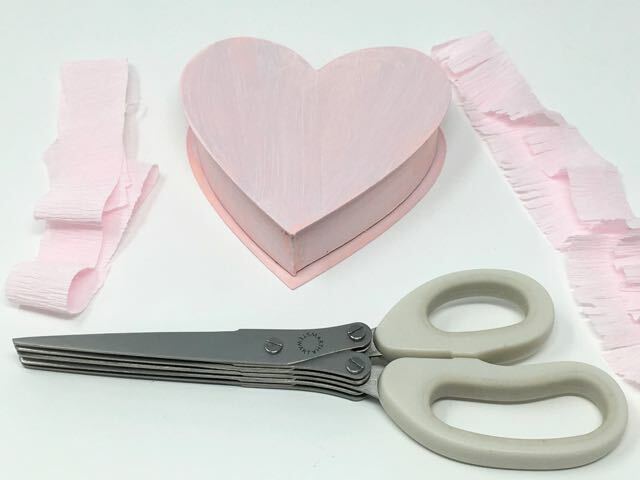 For this step, you can use either tissue paper or crepe paper. I just purchased some incredible crepe paper for flowers that I intend to make. 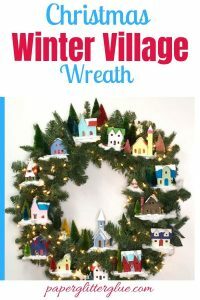 The colors are so lovely so I decided to use crepe paper for this project, but tissue paper works as well. Cut your paper into one inch strips. Since the crepe paper comes in rolls, I cut out about an 18 inch section, folded it in half and cut the strips from that piece. I only needed about 3 or 4 pieces to make a treat box of this size. 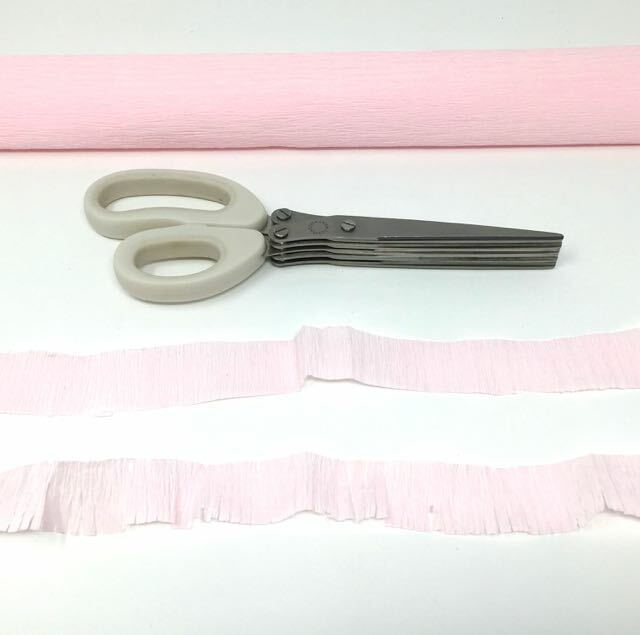 Now to fringe each strip, you can cut each piece with regular scissors or you can use fringe scissors. Yes, fringe scissors are a thing. I found mine stashed in box and used them here. It’s probably the first time I’ve ever used them. They worked very well, but they do cut narrower strips than you usually see on a traditional Piñata. 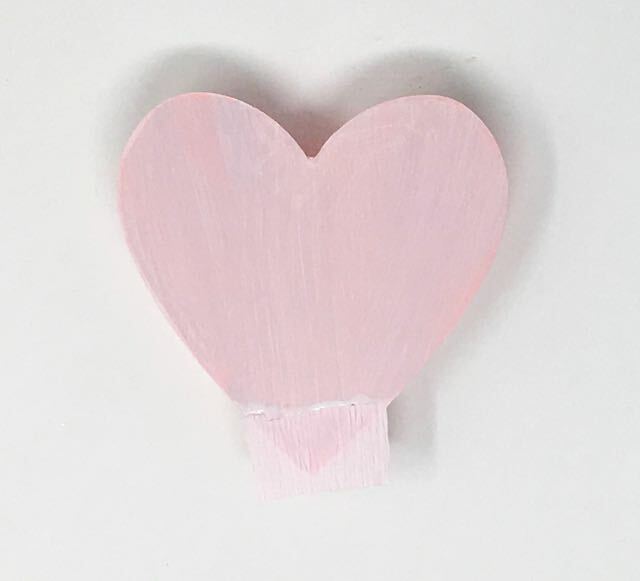 Starting at the bottom, glue a piece of crepe paper to the tip of the heart on the top of the candy box. Then glue fringed strips overlapping by about a half inch with each strip. 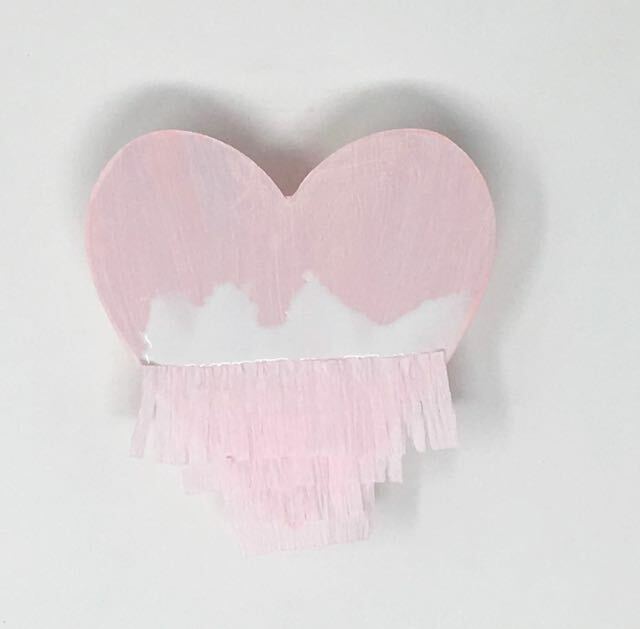 Don’t worry about cutting the edges to the shape of a heart yet. Trim the sides after the glue is dry. 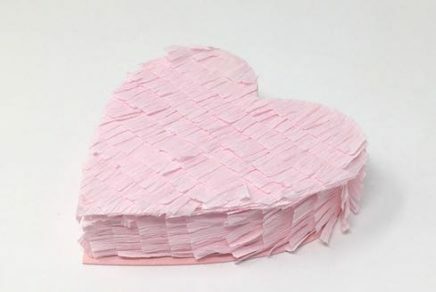 To cover the sides of the candy box, glue a strip of crepe paper or tissue paper to the tip of the heart at the bottom. Again starting at the bottom, cut short strips to cover the sides. Don’t worry about trimming them yet, you trim them to size when the glue dries. Since this is not a regular piñata that you are going to hang up and hit with bat, I didn’t put any strips on the back piece. Here’s what the top of the candy box looks like before the excess fringe is trimmed off. Once the glue is dry, trim the fringe strips to match the size of the candy box. Now it is looking like a piñata. How fun is that. 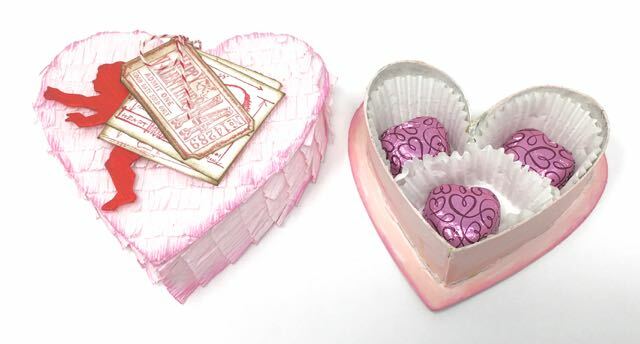 Just to give a little extra dimension to the candy box, I edged the box with Picked Raspberry Distress Oxide Ink. If this was a regular piñata that people are going to beat up with a bat, I wouldn’t necessarily add extra decor to the box, but since it is a gift box I like to decorate it a little bit more. 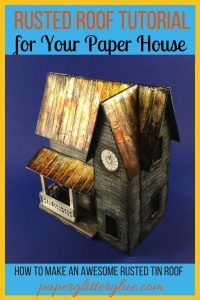 I used some fun dies and stamps from Tim Holtz. First the mini-cupid is the perfect size for this box. I punched a hole in the wing for baker’s twine. 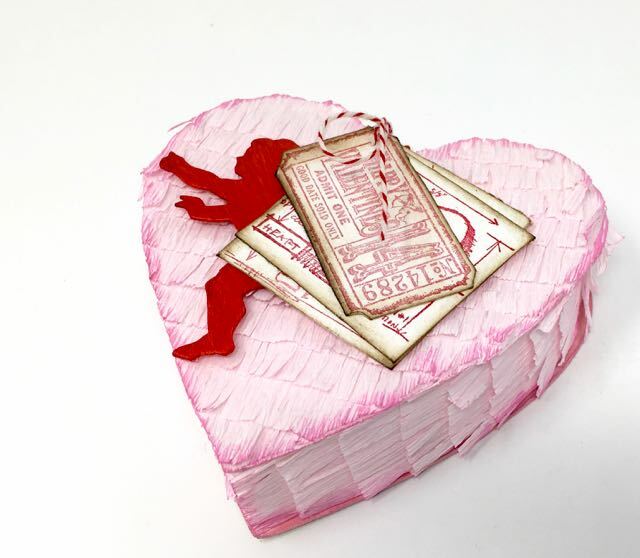 Then I added a few stamped Valentine’s images on watercolor cardstock and threaded them on the baker’s twine. 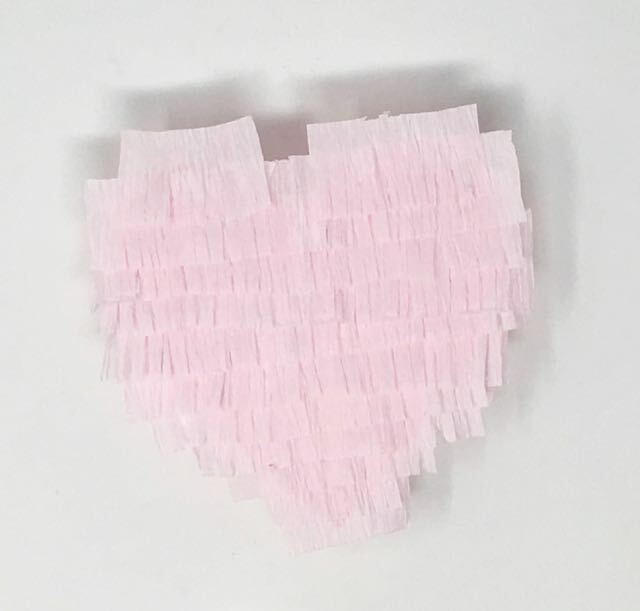 You could also make this piñata candy box like the conversation hearts or the sweetheart candies or even put a name on the front. This would also make a really cute wedding favor. Well, I say fill your candy box, but it’s a little treat box so you’re not going to get a lot of candy in it. Also depending on how it is constructed, sometimes the top is kind of loose so you don’t want lots of little pieces of candy falling out. That’s why I chose just 3 pieces of candy to fill the box. Saves on calories, too. And that is how to make your very own Valentine Piñata Candy Box to give treats to friends or loved ones. They will love it. If you have any questions, you can leave a comment below or email me at Lucy@paperglitterglue.com. Have a great day. Oh, here is a sneak peek for the next project. It’s kind of fun too. P.S. 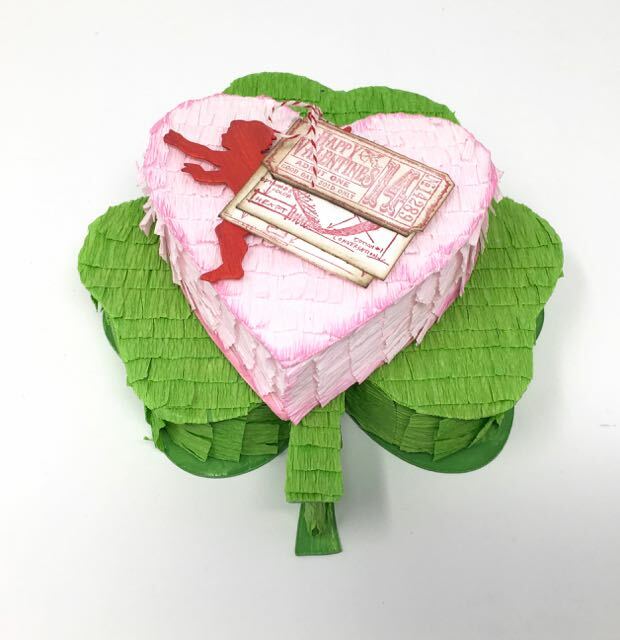 Please pin to your favorite Pinterest Board so you will remember where you saw the tutorial on how to make a Valentine Piñata Candy Box.